Why does a magnet lose its magnetism when it burns red? The reason why a magnet is magnetic is that the magnetic effect produced by the rotational motion of the internal electrons is consistent with the direction of the external magnetic field. Magnets attract nails because when they are near the nails, their magnetic field makes them magnetized and attractive to each other, and the nails are firmly “sticking” to the magnets. However, as the temperature of the magnet rises, the thermal motion of the molecule inside the magnet becomes faster and faster. 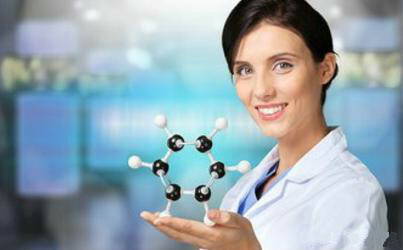 When the temperature rises to a certain value, the intense thermal motion of the molecule completely destroys the regularity of the electron motion, and then the magnetism of the magnet disappears. Why can a compass indicate direction? The earth is actually like a “big magnet” with S and N poles. The geomagnetic north pole is near the geographic South pole, and the geomagnetic south pole is near the geographic North pole. Because the same poles repel each other and the different poles attract each other, any magnetic object on the earth will be affected by the earth. 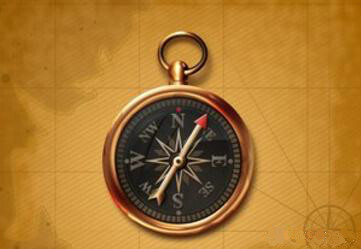 A compass is a magnetic needle made of an artificial magnet. When we use the compass to determine the direction, according to the law of interaction between magnetic poles, the north pole of the compass and the south pole of the geomagnetic field attract each other, while its south pole and the north pole of the geomagnetic field attract each other. So when the compass is still, its north pole always points to the north end of the earth, while its south pole always points to the south end of the earth. But because the north and south poles of the geomagnetic field are not in the north and south, the direction indicated by the compass is not in the north and south, but slightly deviated. What is the magnetic field? 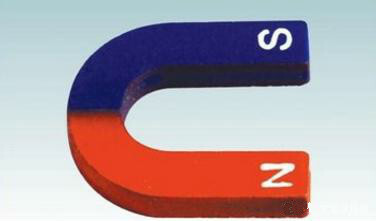 There is a special substance around magnets such as rare earth magnets. 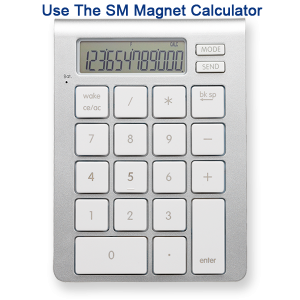 It is a medium for transferring magnetic force. This medium is called the magnetic field. In addition to the magnetic field around the magnet, magnetic fields can be generated around the current, the moving charge and the changing electric field. 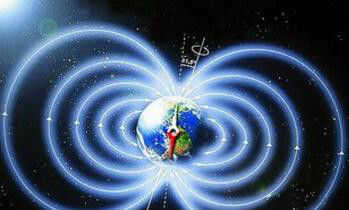 The basic nature of the magnetic field is that the stronger the magnetic field is, the greater the magnetic force is. In physics, the distribution of the magnetic field is usually represented by imaginary magnetic lines, which are always closed curves, which can be proved by experiments. Place a glass plate on the magnet, sprinkle some iron powder on the glass plate, and then pat the glass plate, the iron powder will be arranged in the direction of the magnetic line, its density reflects the strength of the magnetic field. What is the electromagnetic effect? In the early days, many scientists agreed that there was no connection between electricity and magnetism. By 1820, Danish scientist Oster had discovered the magnetic effect of electric current, that is, electricity generates magnetism. If a straight metal wire passes through the current, its surrounding space will produce a corresponding circular magnetic field, and the stronger the current in the wire, the stronger the magnetic field will be generated. This phenomenon is the electromagnetic effect. 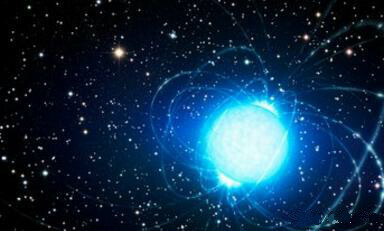 Electromagnetic effect reveals the relationship between magnetism and electricity, which connects electricity with magnetism. According to the electromagnetic effect, people have discovered a series of important electromagnetic laws and invented electromagnets, which are applied to life. Nowadays, electromagnetic effects are widely used in electronics, electronics, electrification, automation, torque coupling, and other fields, and play an important role in promoting the development of social productivity and science and technology. Why does the doorbell ring as soon as it rings? When we ring the doorbell outside, people in the room can hear it. Why can the doorbell ring as soon as it is pressed? This is because the doorbell is made according to electromagnetic principle. The doorbell is equipped with the electromagnet, which is the most commonly used electromagnetic device. The voice coil is made by winding wires on the iron core in a certain way. When DC current is put into the coil, the iron core becomes magnetic and becomes an electromagnet. Electromagnets can produce strong magnetic fields, thus generating suction. When people ring the doorbell, the current flows through the electromagnet are inside the doorbell. The bars connected to the small hammer are attracted by the magnetic field, and the bell rings. At this time, the circuit is disconnected, the electromagnet loses its magnetism, and the iron bar bounces back to its original position. The whole process repeats quickly, forming a continuous ringing tone. 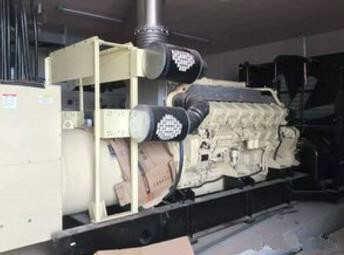 Why can generators generate electricity? The generator is based on the principle of electromagnetic induction, mechanical energy into the electrical motor, the earliest generation in the second industrial revolution period, by the German Engineer, Siemens made in 1866. It can be divided into two categories: alternator and a direct current generator. Besides commutator, they have similar devices. Taking the alternator as an example, its working principle is that when the axis of the alternator rotates, the coil installed on the axis also rotates in the magnetic field, making one side of the coil move upward and the other side moves downward, which makes the coil generate induced current.